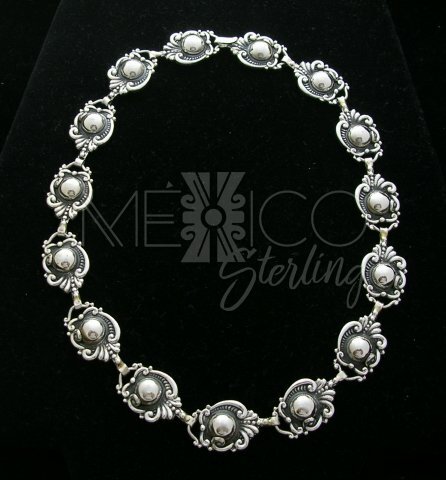 Margot De Taxco Molds Silver Necklace [NKLM128] - $325.00 : Mexico Sterling Silver Jewelry, Proundly from Mexico to the world. Please read this description carefully. 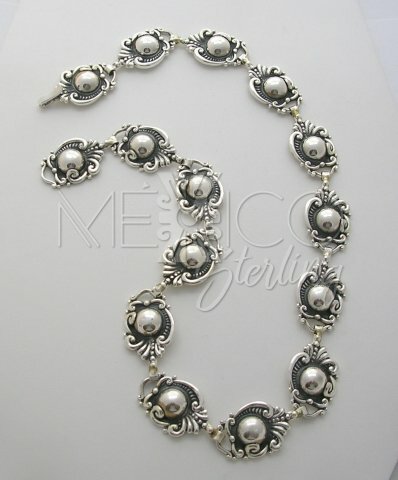 It will contain the information associating this magnificent piece of jewelry with Taxco's Margot de Taxco. 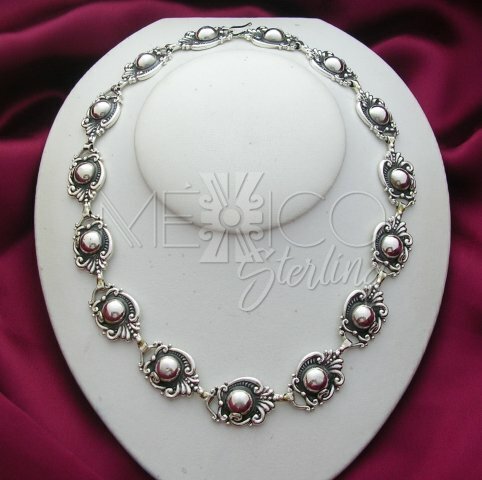 It is made from the original Margot molds, by a gentleman, senor Melesio Rodriguez Villalba, who worked with Margot Van Voorhies Carr for 24 years, and now, at his 74 years of age, he continues making these beautiful pieces. He was responsible for the execution of many of Margot's designs. 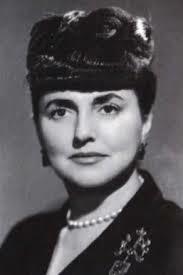 His artist's registry number of "MR." "TR-114" is widely recognized as one that uses margot's original molds. This is such a piece!!!! 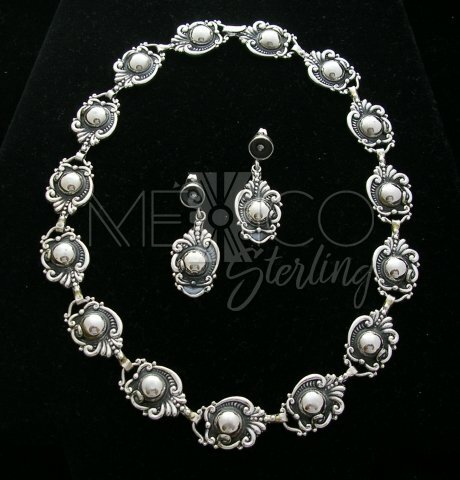 Please feel free to contact me for further information on sr. Villalba, and his place in the overall picture of vintage taxco jewelry. 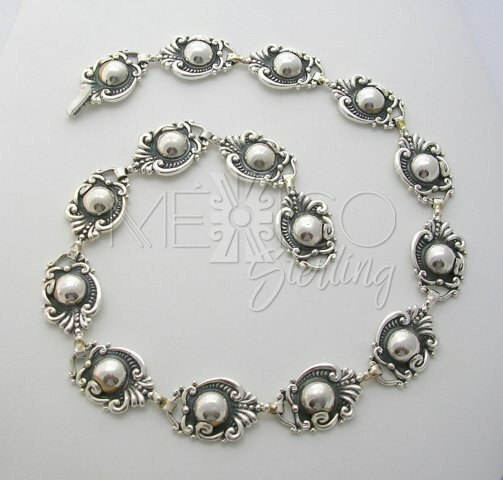 This necklace is sterling silver. 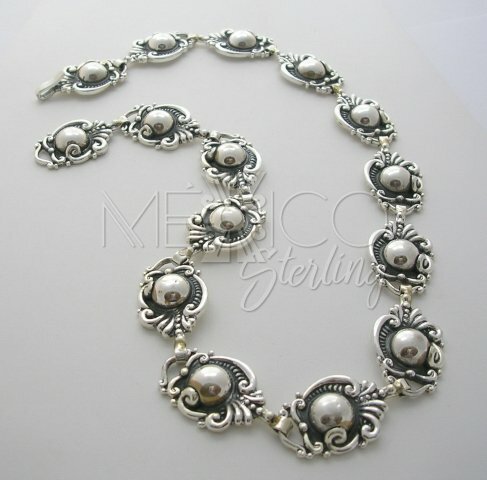 It is a classic design, by Margot, introduced in the 1950's. Beautiful, delicate design. So elegant, a real work of art. Thi is a gorgeous, solid, piece with a total weight of 73.1 grams. 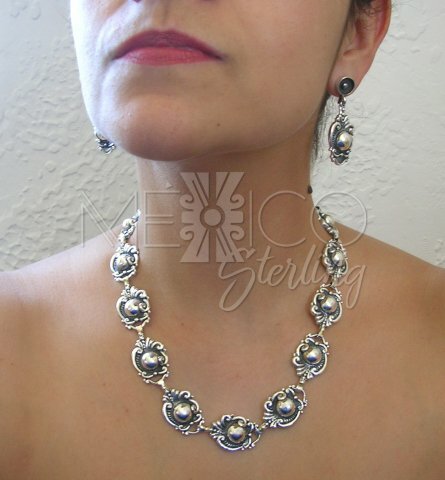 The necklace was made with a 950 sterling silver purity. 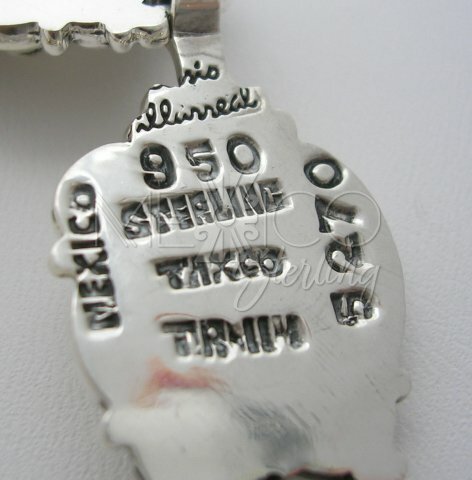 Better quality silver than the most common 925 and it carries the original mold number "5270". If you need a larger or shorter length, please let us know. We can help.